Electrically conductive films that are optically transparent have a central role in a wide range of electronics applications, from touch screens and video displays to photovoltaics. These conductors function as invisible electrodes for circuit wiring, touch sensing, or electrical charge collection and are typically composed of transparent conductive oxides. But, they have a weakness. Most transparent conductors are mechanically stiff. Stretching the inelastic material causes it to break apart and lose electrical functionality. This inability to support strain greatly limits the role of these existing materials for emerging applications in wearable computing, soft bioelectronics, and biologically-inspired robotics. 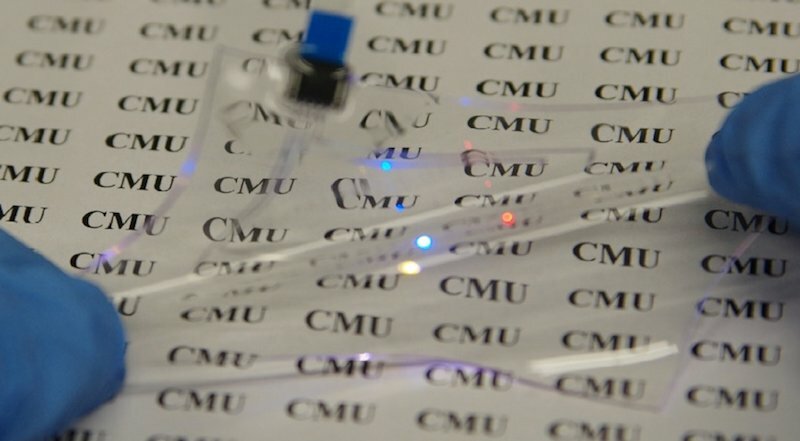 The displays and touchscreens used in these next-generation technologies will require transparent conductors that are soft, elastic, and highly stretchable.